Get the Perfect Resume While You Are Sleeping! Some say it is possible to learn a language while you are asleep. ¿Quién sabe? Still, others like the fact that you might be able to earn money on the stock exchange while you are asleep. Again, who knows? One thing you definitely can do while you are asleep is getting a brand new professional resume from Select Resumes! 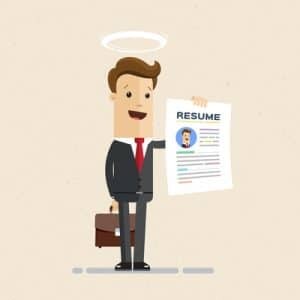 We know that getting your resume into shape is something that you probably do not think about until you see that dream job advertised. And we also know that usually, the submission date is extremely close when you contact Select Resumes. That is why we are always here to support you to put your application together, right round the clock, every day of the week, every week of the year. Just pick up the phone and get the ball rolling. Once you have made us aware of your needs, we will get one of our seasoned writers to contact you to arrange a thorough phone consultation to get to know you, understand your direction, your career to date, and the qualities that make you the right candidate for the job. Then, we get to work and research the company you are targeting and make sure that your finished document reflects your suitability for the role. Once written, we will prepare the text within a suitable and exclusive design of your choice, of which you have ample to select from. And all this happens while you are sleeping – resting easy in the knowledge that no matter how late in the day you realise you need a perfect resume, we have got you covered. So get in touch and find out more about creating your new future with a professional resume that will help get you in front of that interview panel – call Select Resumes today!